Lauded by photographers, artists, and critics for his influence on the contemporary generation of art photographers, James Welling has created beautiful and uncompromising photographs for over thirty-five years. This book provides thorough presentation of the artists work to date... read full description below. Lauded by photographers, artists, and critics for his influence on the contemporary generation of art photographers, James Welling has created beautiful and uncompromising photographs for over thirty-five years. Operating in the hybrid ground between painting, sculpture, and traditional photography, Welling is first and foremost a photographic practitioner enthralled with the possibilities of the medium. James Welling: Monograph will provide the most thorough presentation of the artists work to date, as well as offer an indispensible resource for those interested in this artists remarkable, foundational practice. Since the mid-1970s, Wellings work has fluidly explored a mercurial set of issues and ideas: the tenets of realism and transparency, abstraction and representation, optics and description, personal and cultural memory, and the material and chemical nature of photography. To date, the artist has been the subject of numerous catalogs addressing his more than twenty-five different bodies of work. Wellings substantive investigation of the spectrum of abstract to figurative, as one curator has described it. Yet no book has appeared with the ambition of linking these bodies of work together by examining the primary threads that run through them all. That is, until now. 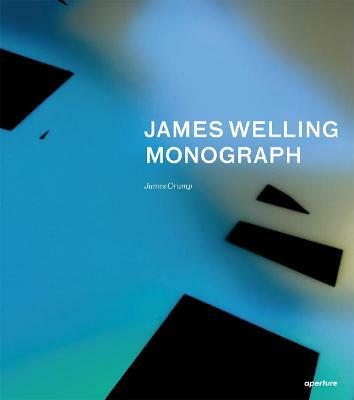 Sumptuously produced, James Welling: Monograph , presents a large selection of recent series, from 2000 through to the present, comingled with important early and iconic works made in the preceding decades. Chief curator of the Cincinnati Art Museum, James Crump, working closely with the artist, contributes an extensive introductory essay, and the volume will also include text contributions by Mark Godfrey, Thomas Seelig, and an interview with Eva Respini, associate curator in the Department of Photography at MoMA. James Welling has exhibited extensively both nationally and internationally. An earlier survey exhibition, James Welling: Photographs, 1974 1999, originated at the Wexner Center for the Arts in Columbus, Ohio, and traveled to the Museum of Contemporary Art in Los Angeles and the Baltimore Museum of Art. In 1999 he received the DG Bank-Forder Prize in Photography from the Sprengel Museum in Hannover, Germany. Solo exhibition venues include Regen Projects, Los Angeles; David Zwirner, New York; Maureen Paley, London; Galerie Nelson-Freeman, Paris; Wako Works of Art, Tokyo; Donald Young Gallery, Chicago, and Galerie Nachst St. Stephan, Vienna. Welling is professor in the UCLA Department of Art, where he has taught for more than 15 years, and a visiting professor at Princeton University. James Crump is known internationally for his work with contemporary artists and photographers and was the chief curator at the Cincinnati Art Museum. Crump has organized exhibitions or published books with Doug Aitken, Richard Misrach, Nan Goldin, Ross Bleckner, Lynn Davis, and the estates of Berenice Abbott, Robert Mapplethorpe, Carlo Mollino, Willem de Kooning, Garry Winogrand, and Walker Evans. His most recent published works include Doug + Mike Starn: Gravity of Light (2012), Walker Evans: Decade by Decade (2010), Variety: Photographs by Nan Goldin (2009), and, with Kevin Moore (ed. ), Starburst: Color Photography in America, 1970-1980 (2010). In 2007 Crump wrote, produced, and directed the critically acclaimed feature documentary film Black White + Gray: A Portrait of Sam Wagstaff and Robert Mapplethorpe, which premiered in North America at the Tribeca Film Festival and in Europe at Art Basel. Mark Godfrey is curator of international art at Tate Modern, London. He has cocurated the exhibitions Richard Hamilton (2014), Alighiero Boetti: Game Plan (2012), Gerhard Richter: Panorama (2011), Francis Alys: A Story of Deception (2010), and Roni Horn AKA Roni Horn (2010). He is the author of Abstraction and the Holocaust (2007) and Alighiero E Boetti (2011), and of recent essays on R.H. Quaytman, Christopher Wool, Christopher Williams, and Julie Mehretu. Thomas Seelig studied visual communications at the Fachhochschule Bielefeld, Bielefeld, Germany, and curating at the Jan van Eyck Akademie in Maastricht, The Netherlands. Since 2003 he has been curator and curator of collections at the Fotomuseum Winterthur, Winterthur, Switzerland, where he organizes exhibitions of the collection as part of the Set series. Eva Respini is the Barbara Lee Chief Curator at the ICA/Boston. Previously she was associate curator at the Museum of Modern Art, New York. She has organized numerous exhibitions on contemporary art and photography at MoMA, including the recent, critically acclaimed Cindy Sherman retrospective. Other exhibitions she has organized or cocurated include Walid Raad, Robert Heinecken: Object Matter, Boris Mikhailov: Case History (2011), Staging Action: Performance in Photography since 1960 (2011), Pictures by Women: A History of Modern Photography (2010), Into the Sunset: Photography s Image of the American West (2009), Artist s Choice: Vik Muniz (2008), and New Photography (2012, 2009, 2007, and 2005). She is the author of Cindy Sherman and Into the Sunset: Photography s Image of the American West, coauthor of Ordinary Pictures (2016), Fashioning Fiction in Photography since 1990, and a contributor to numerous other publications.